There were only slide-in ranges and freestanding ranges a few years ago. 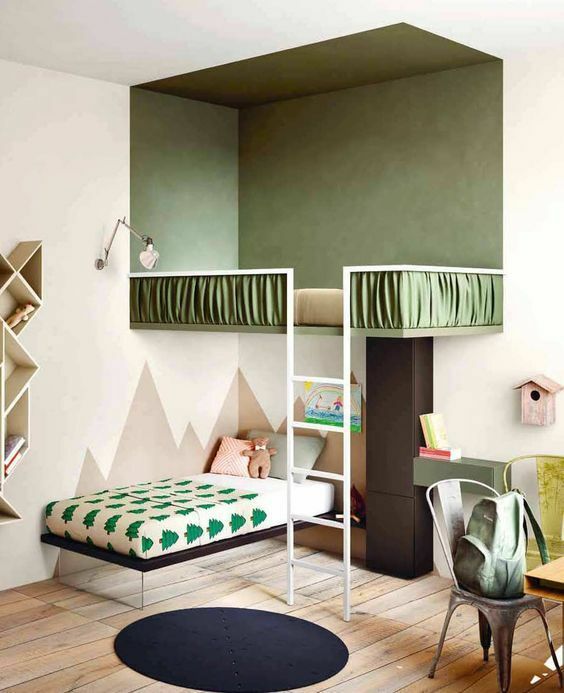 But as time goes by, manufacturers found that it was not easy to switch from a freestanding range to a slide-in range due to installation requirements. 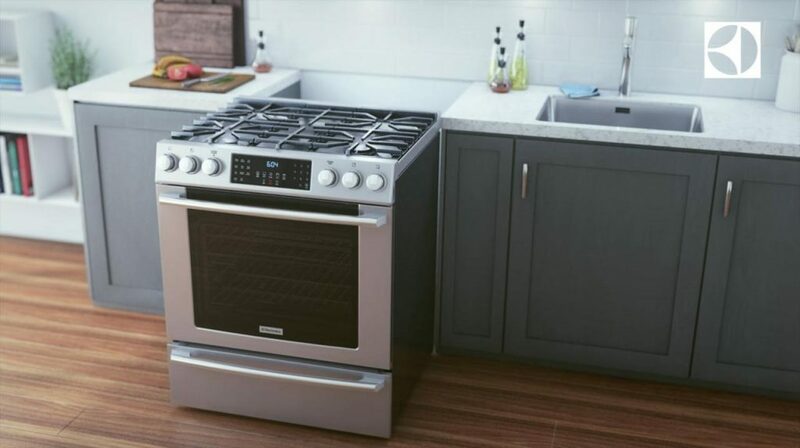 Now, appliance manufactures have been gravitating toward a third type of range: the front control range. 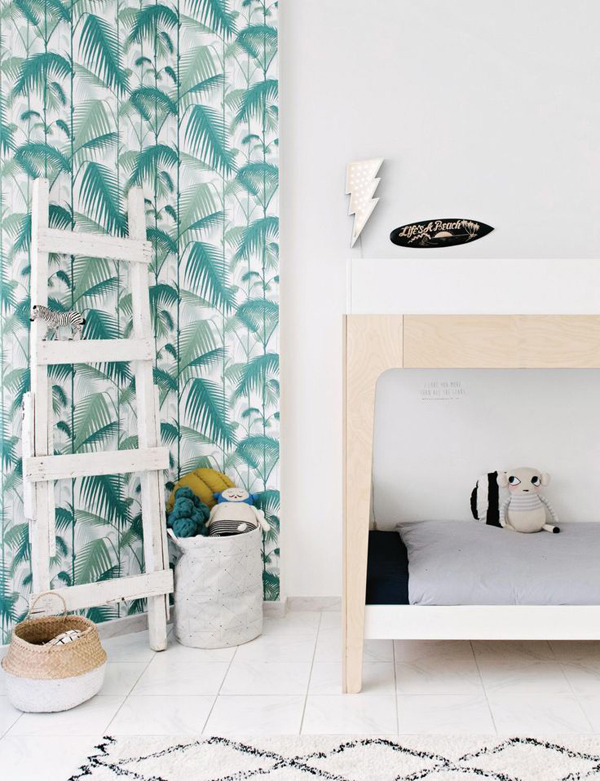 Here we will describe both ranges and the differences so you can decide which one you should consider for your home. Freestanding ranges which have finished sides and can be placed anywhere in the kitchen. 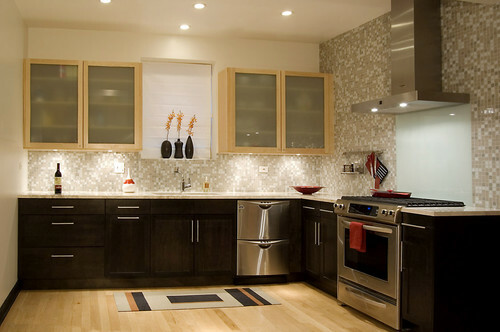 Unlike slide-in ranges, they do not require countertops and cabinets on both sides to hide their unfinished sides. 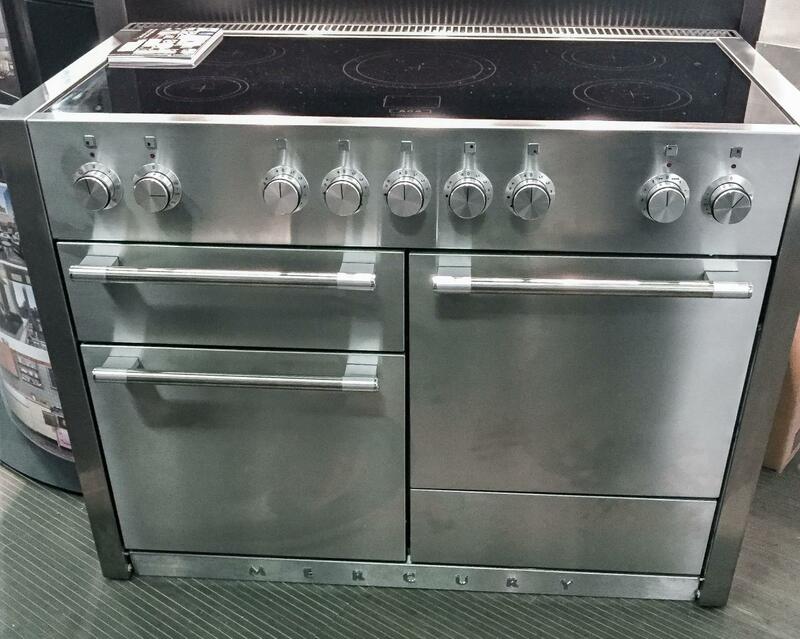 Traditional freestanding ranges have a backguard with the controls on it. The majority of traditional freestanding ranges are 30’’ wide however some models come in 40’’, 24’’ or 20’’ widths. 90% of the ranges in the U.S. are freestanding with the main benefit being affordability at the lower end and more features for the price at the medium and higher end. Slide-in ranges have the controls on the front. 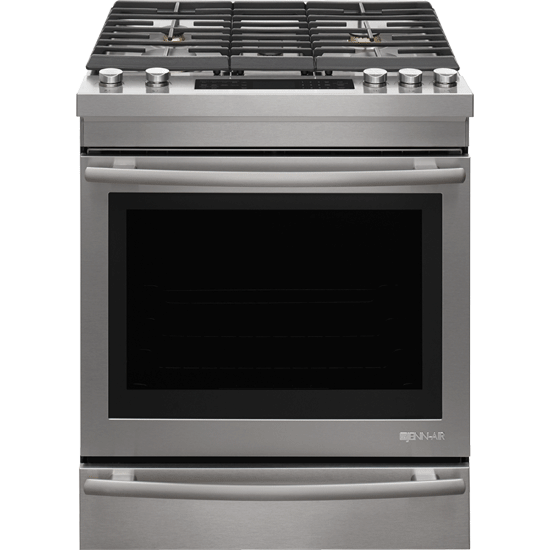 They sit on top of the countertops and give your kitchen a built-in look without “breaking the bank” on a wall oven and cooktop. 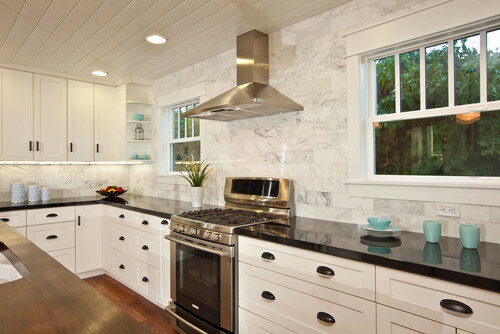 The main advantage is seeing your backsplash without being interrupted by the stoves controls. Slide-in ranges are only 30’’ wide with unfinished sides so they are truly designed to be fit in between two cabinets. They are about 2” wider on top so they overlap the countertop. One of the main benefits to the overlap is cleanability. Food and crumbs can’t drip down the sides like it can with a freestanding range. Front control ranges have the controls on the front and are much like slide-in ranges, however they don’t have the installation challenges that slide-in ranges have. This type of range is 30’’ wide and will fit into a cutout if you are replacing your 30’’ freestanding range. It may look like a slide-in, but the hybrid has the seam between the cabinets like a freestanding range. 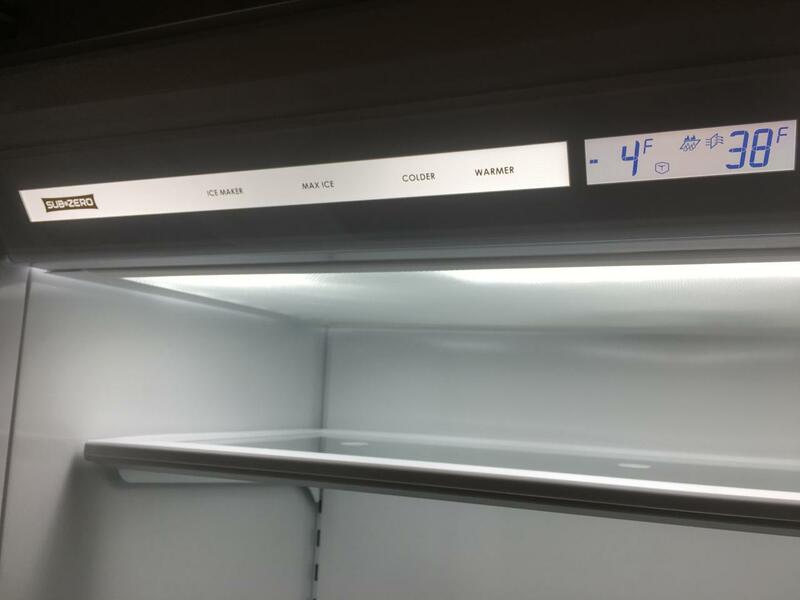 Food, liquids and crumbs can drip down the sides. I like this type of range because it gives you an easy way to achieve the look you want at a reasonable price without cutting cabinets. This hybrid has finished sides like a freestanding range. If you like the idea of the sides of the range overlapping the countertop, this range has an optional trim kit you can purchase to give the range this desired look. 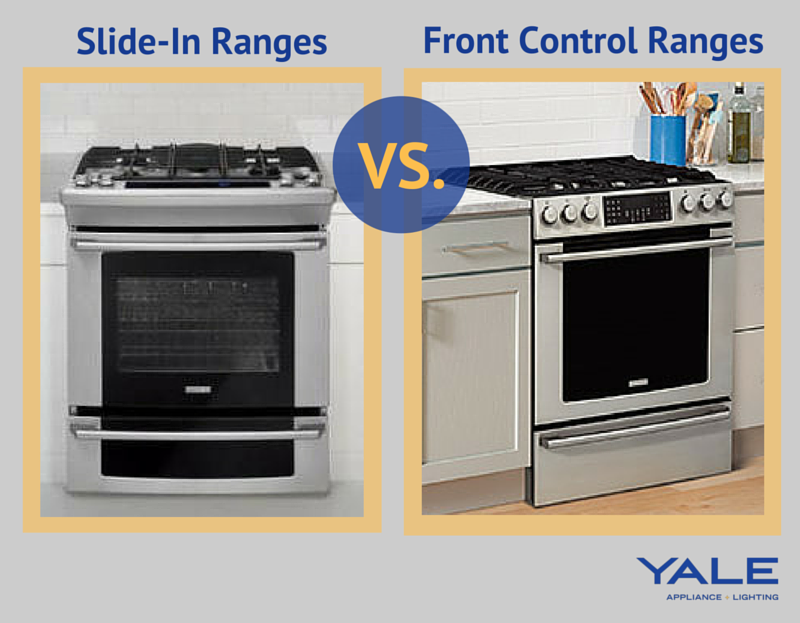 Why buy a Slide-in Range or a Front Control Range? Both types place their controls on the front of the range rather than on a back guard. 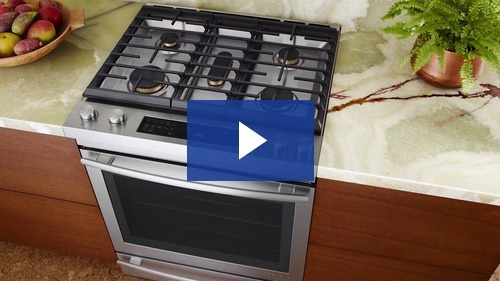 This configuration is almost always more aesthetically pleasing and gives you the freedom to design a decorative backsplash behind your range. Slide-in ranges have unfinished sides and overlap the countertop on the sides and back of the range. Front control ranges are freestanding with controls on the front. 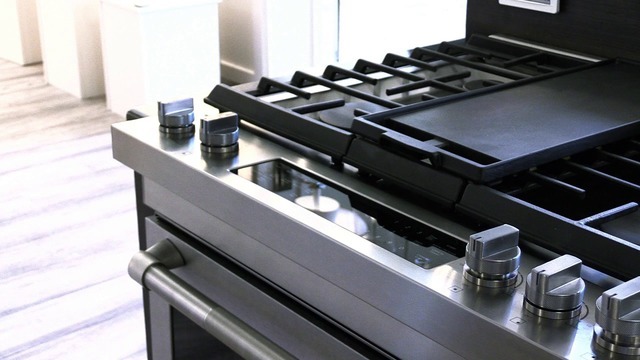 Front control ranges are typically easier to install when replacing a traditional freestanding range. For new construction, a slide-in is better, because it doesn’t have the gaps on either side. Front control is simpler for replacing a freestanding range (you want to be able to see your backsplash behind the control panel). It depends. 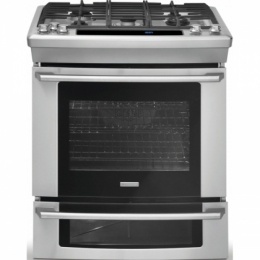 For price, the freestanding range is still a good choice. 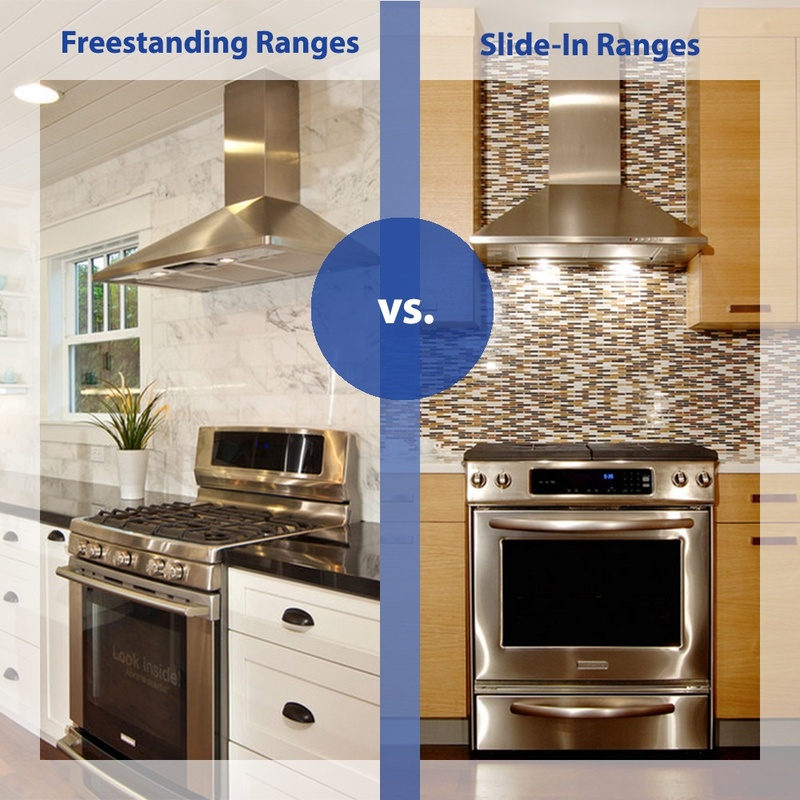 For example, the difference between an induction freestanding and slide-in range with similar features is over $1,000. You should consider front control ranges for higher-end replacement. You have the similar look of a slide-in, but there will be less carpentry and cutting countertops (never fun, often problematic). 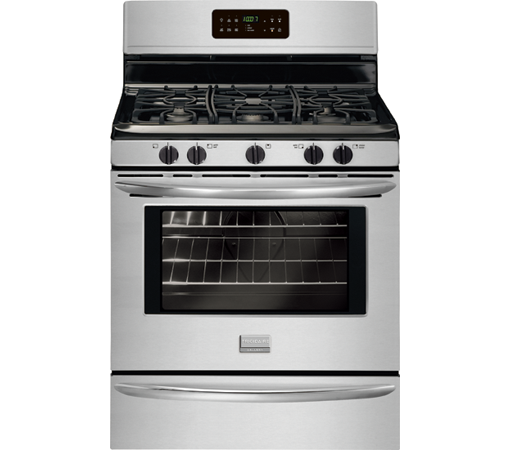 Hybrids are the stove of the future, because manufacturers can satisfy new and replacement with one range. For new construction, you should consider the slide-in for looks and cleanability. Boil over water or soup, and there are no worries about drips down the side of the range. 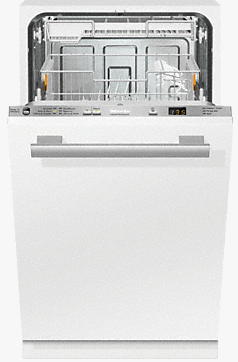 Looking forward, you will see more front control ranges, less slide-in ranges and especially freestanding. It’s better looking, but the front control range is a huge up-sell for the manufacturers over the far cheaper freestanding ranges.